They say a picture is worth a thousand words. Less spoken about is the value of a drawing. Often the source of head scratching is the orientation of the dished spring washers for the Campagnolo Doppler retrofriction shifters. Do the two washers nest in to one another, or are they opposing? Do they face inward or outward? 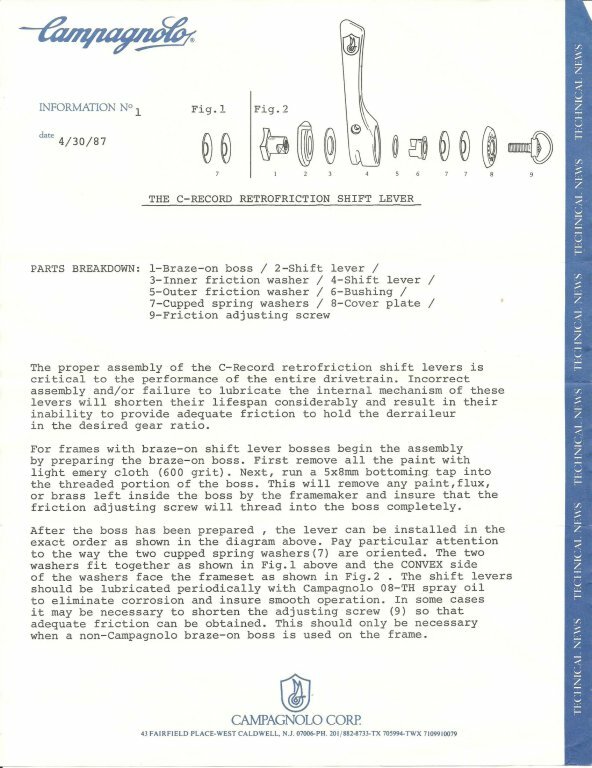 The above information notice, dated April 30, 1987, should answer those questions once and for all - they nest in each other, with the convex side facing the frame boss.